Utilitarian Carry-alls made from heavyweight 24-ounce canvas. Featuring custom Jack Spade rivets, Waxwear trims, and removable shoulder straps. 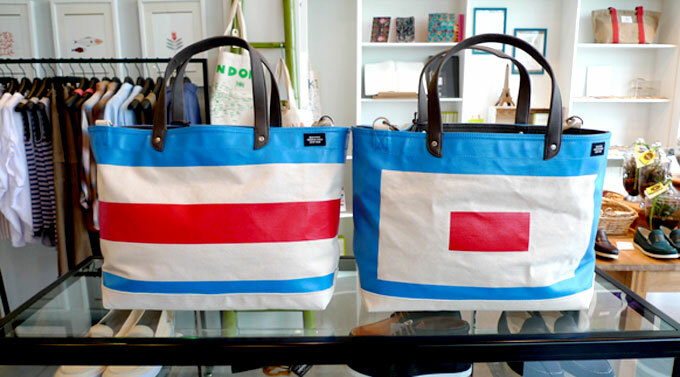 Coal bags inspired by the universal maritime language of signal flags. (L) Charlie Coal Bag, meaning Yes (R) Whiskey Coal Bag, indicating medical assistance or a drink required. Dipped Industrial Canvas Coal Bags. 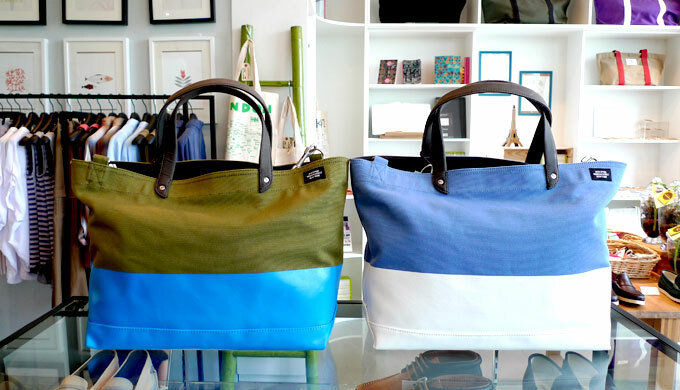 Inspired by bike messengers in NYC, these bags are dipped in industrial paint. It started with a simple idea - Andy Spade, husband of Kate Spade, wanted to create tough-as-nails utility bags that were neither overly precious nor boring basics. And so he did. 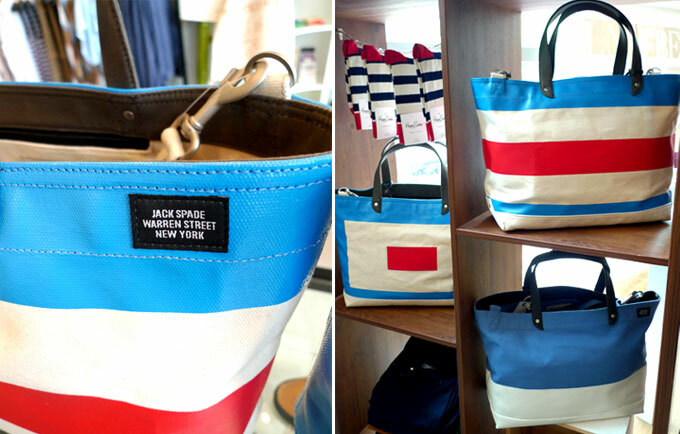 Today, JACK SPADE remains true to the idea of simple, purposeful design. Now available at Rockstar. Very limited quantities.